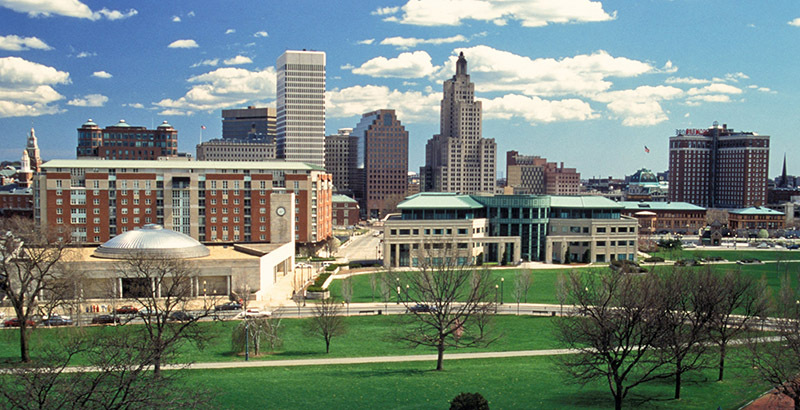 Rhode Island is feeling a bit banged-up on the educational front after a tough week of brutal truths. The Rhode Island Comprehensive Assessment System math and English results became public and, as predicted, were pretty terrible. And, on the very same day, a lawsuit was filed in federal court over the lack of civics education in the Ocean State’s schools. Add to that a new Fordham report about Rhode Island’s alarmingly high numbers of students in credit recovery classes, and it was the trifecta of bad K-12 tidings. The suit was filed on behalf of 14 Rhode Island students by New York law professor Michael Rebell and the Rhode Island Center for Justice. The case is believed to be unprecedented and rests on the claim that the Constitution guarantees all students access to an education that prepares them to participate in their civic duties — the right to free speech, the right to vote, and participation on a jury. There is certainly a powerful case to be made that if you can’t name even one branch of government and have no idea what the First Amendment is, your ability to fully realize your rights as a citizen is greatly thwarted. Adding insult to injury on the civics front are the grim realities around Rhode Island student proficiency in reading and writing — and the lawyers were wise to include them in the suit. They argue that the state’s neediest students, especially Latinos and children with disabilities, are systematically not acquiring the basic skills they need to exercise their constitutional rights to vote and express themselves freely. It is no coincidence that on the 2017 National Assessment of Education Progress, Rhode Island’s English learners ranked last in math and second-to-last in reading, and the state assessment results released last week reveal that in Providence, only 13.71 percent of students are proficient in English Language Arts. That number drops below 5 percent for current English learners and students with special needs. While many find the federal lawsuit intriguing, they worry that people are putting too much faith in the power of a civics class requirement that will do nothing to improve reading outcomes or overall literacy skills. But the attorneys on the case explain that a confluence of factors drew them to Rhode Island in addition to the lack of civics requirements or exams. One is that none of the state-level lawsuits seeking to secure greater funding for Rhode Island schools have failed to gain traction in the state judiciary, as they have in New Jersey, Washington, and Kansas. There is little to no investment in training teachers in civics and government, and Rhode Island is “one of a few states” in the U.S. where the state constitution does not provide a right to an education. No right to an education? That’s right. But before we nonlawyers mistakenly think this case is a no-brainer or a slam dunk, let’s remember what just happened in Michigan over the summer. A federal judge in Detroit dismissed an education-rights case on the grounds that “access to literacy is not a fundamental right.” That case is being appealed, and experts, including Rebell, think it could make its way to the Supreme Court. Rebell is referring to the late Supreme Court justice Thurgood Marshall, who issued a blistering dissent in the 1973 case Rodriguez v. San Antonio over school funding in Texas. In his dissent, Marshall noted that “the fundamental importance of education is amply indicated by the prior decisions of this court, by the unique status accorded public education by our society and by the close relationship between education and some of our most basic constitutional values.” The way Rebell sees it, the Supreme Court left the door open to a case just like the one he filed in Rhode Island. Although conventional wisdom would indicate that the current makeup of the Supreme Court may not be on the side of expanding our notion of fundamental rights, civics may be one issue where the justices’ usual ideology may not apply. Not only did former justice Sandra Day O’Connor devote much of her retirement to the issue of civics education, but both justices Neil Gorsuch and Sonia Sotomayor are very public advocates of civics education as well. That door that Thurgood Marshall left open 45 years ago just may be enough for this case — in the littlest state in the nation — to squeeze on through.